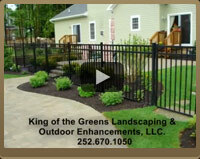 We greatly appreciate your interest in King of the Greens Landscaping & Outdoor Enhancements, where we serve our customers like Royalty and serve each property with the Royal treatment. We pride ourselves as a local family-run Christian business that handles every project with the utmost attention to detail. Here at King of the Greens we take pride in our work and our ability to make each project looks beyond it's best. We are passionate about providing a broad range of Complete Custom Landscaping, Lawn Care, Grading, Wood Fencing, Paver Patios, Concrete & Landscape Construction services. Created from a vision for exceptional value without the sacrifice of quality, King of the Greens has grown from a humble startup Lawn Care company to complete Landscape & Outdoor Enhancement. Our exceptional growth is a reflection of commitment to exceed our customers’ expectations while building a reputation and relationships. No matter what you’re looking for we can accommodate you. 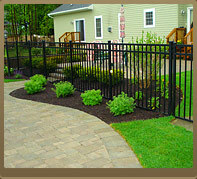 Packages can be custom made to adapt to any need you may have for you residential or commercial property. We place the utmost importance on delivering exactly what our customers are looking for. Because of this, King of the Greens provides a life time warranty on all plants that we use in our landscapes as long as we are the company maintaining the property. King of the Greens is a Professional Landscape company which specialize in Residential, Commercial, Property Manager Associations, Condominiums, Apartment Complexes , Office Buildings, Medical and Retail Centers. We ensure high appeal at reasonable cost, while enhancing and protecting your investment. 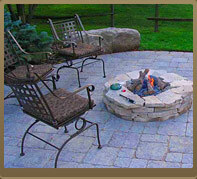 We offer the quality, service, and flexibility that you need and would expect from a reputable company. Our experienced teams specializes in Landscape Management, Lawn Care, Drainage Solutions, Grading Services, Landscape Renovation, Sod Installation, Fence Installations, Decking and Tractor Work. We are expanding and taking new customers. We would love a call from you today, call and see what we can do for you. Whether your tastes are simple, extravagant, or anywhere in between, we can deliver the exceptional results you desire for a affordable price. We are fully insured for your protection and ours. We provide residential & commercial customers service in New Bern N.C., Havelock N.C., Pamlico NC, Bayboro NC, Morehead City N.C., Swansboro N.C., Jacksonville N.C., Greenville N.C., and the surround areas. It's with great pleasure that We ask you for an opportunity to earn your business. Call Today 252-671-2817 or Submit a Service Request form. Very professional and great attention to detail. Work was completed as promised. We have had several summer parties this year and have had compliments and compliments. 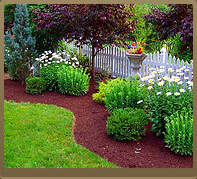 I would highly recommend King of the Greens Landscaping & Outdoor Enhancements. Trust in the Lord with all thine heart; and lean not unto thine own understanding. In all thy ways acknowledge him, and he shall direct thy paths. Be not wise in thine own eyes: fear the Lord, and depart from evil. It shall be health to thy navel, and marrow to thy bones. Honour the Lord with thy substance, and with the first fruits of all thine increase: So shall thy barns be filled with plenty, and thy presses shall burst out with new wine.